Contact Dakota Floor Restoration for your commercial or residential tile, hardwood floor, or carpet cleaning in Sioux Falls, SD. For commercial floor cleaning there is no better option! Whether kitchen tile or a showroom floor, we will make your business shine! Our unique process for residential floors utilizes cutting edge technology to deep clean and restore. We do carpets, tile, and hardwood! Dakota Floor Restoration cleans carpets across southeastern South Dakota. 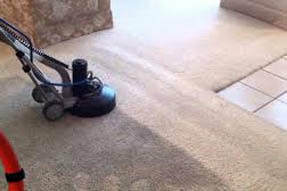 ​We specialized in all kinds of carpet cleaning! We know how important it is for your floors to look good, smell fresh, and last for many years. It is important to actually sanitize, deoderize, and clean synthetic materials on a regular basis. Pets in the house can lead to pet dander, fur, and even mold and mildew. A steam cleaner or shampoo rental usually only masks common problems that can cause allergies. We can remove stains, sand, and dirt to make all your floors beautiful and hygienic for longer-lasting use. In the midwest four-seasons climate, there is always dirt, mud, or snow being tracked into the home. This does real damage. Don't go through the hassle and expense of new installation before talking to our expert carpet cleaners! How to keep carpets clean? How do I keep different carpet types fresh? What is the best way to remove stains? Should I rent a steam cleaner? How is water extraction and drying handled? Do they do good work? Do they stand behind their quality and your satisfaction? Do they cost too much money? What chemicals are used in your carpet cleaning process? ​We can help answer these questions and any others regarding your flooring. 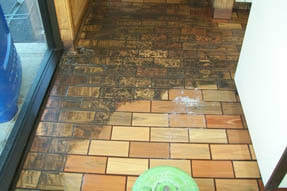 Our well trained personnel can solve any problem regarding maintenance, stain removal, or treatment. We do both residential and commercial carpet cleaning. Traditional tile floor cleaning involves hard work. Get down on your hands and knees. Scrub. Let it dry, look for spots that were missed, and do it all over again. A mop and bucket only cleans the surface without getting into the tiny spaces. Our tile specialists do an unbelievable job of making tile floors look like new. Grout lines often return to their natural color! Talk to us today for a free estimate for tile or natural stone. ​Dakota Floor Restoration prides ourselves with customer service because we want to have a lifetime business dealing with our customers. A good deal of our business comes from referrals of satisfied customers who refer their friends and family to us. Don't clean the old fashion way. We will do it more thoroughly. We can also give you a few easy ideas to ensure long lasting use. Call us now at (605) 261-0414 and our sales representative will be happy to talk about your needs. We do free estimates and can even give you a brief demonstration of before/after results. Our technicians use only safe strategies to clean thoroughly. It is very rare that we are not able to remove every stain or blemish. Be sure to let us know if there is any area needing special attention. Make your floors clean and spotless today! ​We provide service anywhere in Sioux Falls, Harrisburg, Tea, Hartford, Brandon, and Dell Rapids. No matter where you live - we can get to you! Leave the job to a professional, and enjoy a clean carpet today!